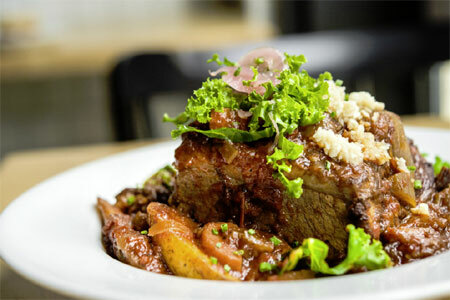 212-422-9500 | Make Restaurant Reservations | Order Now! Tucked away spot for French crêpes in the Financial District. 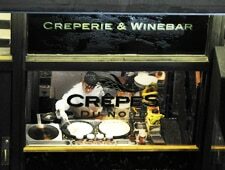 : Hidden away on curving South William Street is a cozy space making traditional crêpes --- those you'd find being sold through Parisian take-out windows. Crêpes are made on standard, round grills, smoothed with a T-shaped wooden spindle. Start with the warm goat cheese and beet salad before moving on to a ham, mushroom and Jarlsberg Swiss crêpe. Dessert crêpes aren't all Nutella-flavored; lingonberry or a classic plain crêpe with lemon and sugar will satisfy your yen for sweet. An abbreviated wine list balancing whites and reds has a little something for everyone. Whether you're craving a sip from Argentina, Oregon, Spain or something from the Loire, there's an affordable bottle with your name on it.